The Fury of Curry… . and Bob the Baller – Stew Rd. In times past, I was a baller. Yeah, I said it, and just in case you don’t know what that is here you go (just skip to #2 cause I don’t make melon balls). a person or device that makes or forms something into balls. a player of a ball game, especially a talented basketball player. 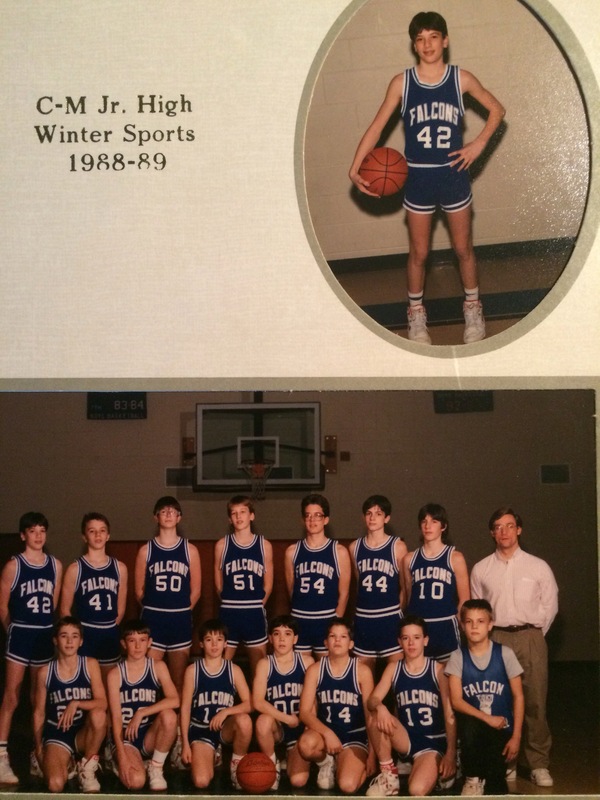 Ok, truth is, I was just an average basketball player in the grand sea of basketball wanna-be’s. I was better than most people walking down the street, but I was not a serious consideration for college teams. I still shoot some baskets for fun these days mainly with my son, Luke (he usually beats me at HORSE). I used to dream of dunking a basketball and how high I could get off the ground, but these days it is my goal to stay as close to ground as possible. As far as being a basketball fan, I hear a lot of people say things like, “I don’t like the NBA, I like college basketball.” And, I get that. … . . there is something pure and noble about playing for the love of the game and for school pride, but I still prefer the NBA. I grew up watching basketball greats like Larry Bird, Magic Johnson and, of course, Michael Jordan. I had posters of those guys in my room as a kid. Men who play in the NBA are freaks. They are not physically normal. They are more super than Batman (that is a whole different blog that I will write one day). Even the guys at the end of the bench who never see playing time in the NBA were studs in college. They would make guys like me in my best basketball days look like a 5 year old. I grew up on a farm and did a bit of physical work. One of those jobs was baling straw and hauling it from the field back to our barns. Fortunately, we only put up straw a few years but one summer we put up about 7,000 bales. At 40-60 pounds apiece and handling each of them twice (stacking from the field and then in the barn), it was pretty good exercise and put me in decent shape at the time. When you pick up straw, you have to throw the bales onto a slow moving wagon and once the straw stacks up you may have to throw bales 8-10 feet in the air. I took pride in my abilities as a bale thrower. Now, I had a friend from elementary school who played on my junior high basketball team and then moved to a bigger school after our 9th grade year. He was 6-1′ or so by that time but after he moved away he grew to about 6 foot 10 inches. He continued to develop and went on the play Division 1 (highest level) college basketball and after a solid college career was drafted by the Philadelphia 76er’s and had a long successful career playing professional basketball here and overseas. These days, college and pro athletes are not only extraordinary in physical talent, they spend hours training, lifting and conditioning to add even extra results to their already extraordinary talent. So, the summer we put up a lot of straw, I had my very tall and, now muscular-on-his-way-to-NBA, friend come help us. One of our wagons piled up to the 6th or 7th layer of straw making it about 12 or 13 feet off the ground and we all did our best but we were having trouble tossing the bales up that high. However, my NBA buddy took a bale and shot-putted a bale all the way over the top of the wagon and straw stacked 12 feet high. If you are any type of basketball or sports fan, you are probably aware of the phenomenon of Stephen Curry, the point guard for The Golden State Warriors 2015 NBA championship team. I could say a lot about what he does and what makes him stand out among the world’s best basketball players but I will keep it short for the sake of time. There are a few things that he does well, but it would be hard to say he is not the best shooter (in particular 3pt) that has ever played the game. This season he is leading the league by averaging a little over 30 points per game and, because his team is playing so well, he has sat out the 4th quarter of a number of games. In the NBA the 3 point line is about 22-24 feet from the basket (NCAA is 21.75ft) and he is shooting close to 50% from the 3 point line (an average NBA team shoots around 35% total from everywhere on the court). 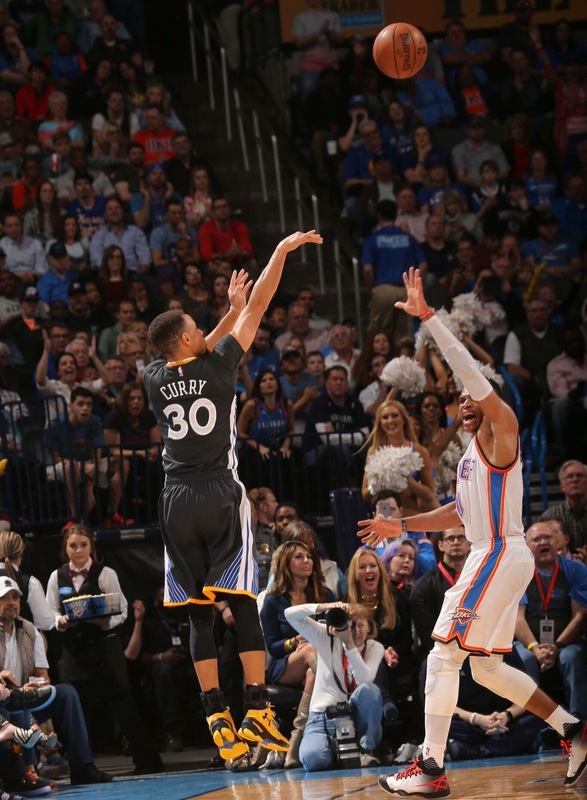 On shots 28-50 feet from the basket, he has made 35 of 52 attempts – 67%. He has already broken the NBA record for 3 pointers in a season and there are over 20 games left in the season – and guess who has the number 2 and 3 spots in the NBA for 3 pointers in a season? Curry. After seven years in the league, some are already asking if Curry is the best to ever play the game. Is he the GOAT – the greatest of all time? Interestingly enough, the head coach of the Golden State Warriors is a guy named Steve Kerr. Steve Kerr was a pretty great shooter in the NBA years ago and spent some time on the Chicago Bulls with none other than Michael Jordan. He won 3 championships with Jordan and the Bulls and was on the 95-96 Bulls team that went 72-10 which is the best NBA regular season record ever (which Golden State will probably surpass this year). What is the driving force underneath unprecedented accomplishments? Joy. signed a shoe endorsement deal with Under Armour for around $4 million per year and they agreed to have “I can do all things” (reference to Philippians 4:13, I can do all things through Christ who gives me strength) written on his shoes for him. Watch him play. You will be hard pressed to find someone that laughs as much as he does on the court. Really. .. . . Joy? It hardly seems like something that defeats opponents. What power is hidden in joy? There are many ways to define joy but I like to define it as the awareness and celebration of God’s goodness toward me right now. Joy says, “No matter what, God is with me and God is for me.” Joy produces an internal state of well being that is no longer shaken by external circumstances. Nehemiah 8:10 says “the joy of the Lord is your strength. The joy (awareness and celebration) of the (the goodness of the ) Lord (toward you right now) is your strength. I like what Steve Backlund says. If joy is your strength, then your load bearing capacity is directly related to your level of joy. What person had the heaviest load to ever bear on this earth? Jesus. No one else took the weight the world on their shoulders and paid the debt for every wrong done. Jesus had joy more than anyone else. The one who carried the most joy carried the heaviest load. The pressure is not on me and my performance, which ultimately leads to anger and frustration because I will never be enough or have enough strength on my own. Sometimes Christians have had a reputation for being fussy and unpleasant. When I place the pressure on myself instead of resting in what Christ has done for me it is an immediate joy-killer which is a strength-killer which ends up just being a killer. We are facing challenging times – all of us no matter your faith or background. We still have many opponents of our souls to defeat but the new path to victory is not the-pressure-is-on-me-which-leads-to-anger performance. It is joy. Pingback: Recipes of Life – Stew Rd. Pingback: Discipline Over Obligation – Stew Rd.